The Writing on the Wall for Our Society- Ignite Christian Church The origin of the phrase "writing on the wall" is of course the book of Daniel, where Nebuchadnezzar’s son, King Belshazzar was using the temple equipment from Jerusalem in a blasphemous way… Daniel 5:4-6 (ESV Strong's) They drank wine and praised the gods of gold and silver, bronze, iron, wood, and stone. Immediately the fingers of a human hand appeared and wrote on the plaster of the wall of the king's palace, opposite the lampstand. And the king saw the hand as it wrote. Then the king's colour changed, and his thoughts alarmed him; his limbs gave way, and his knees knocked together. This extraordinary event is one of only two occasions where the very finger of God wrote a specific message to mankind, the other being the 10 Commandments, written in tablets of stone. You could understand the King being shocked and confused, and he called his wise men, none of whom could interpret the message. Now Daniel was a man of incredible reputation, who was able to interprete the writing on the wall. A captured Jew imported to Babylon in his youth, by now he was in his eighties, yet the King said to him, Daniel 5:14 (ESV Strong's) I have heard of you that the spirit of the gods is in you, and that light and understanding and excellent wisdom are found in you. THE WRITING ON THE WALL... WHAT IS GOD SAYING? Daniel 5:25-30 (ESV Strong's) And this is the writing that was inscribed: Mene, Mene, Tekel, and Parsin. This is the interpretation of the matter: Mene, God has numbered the days of your kingdom and brought it to an end; Tekel, you have been weighed in the balances and found wanting; Peres, your kingdom is divided and given to the Medes and Persians.” Then Belshazzar gave the command, and Daniel was clothed with purple, a chain of gold was put around his neck, and a proclamation was made about him, that he should be the third ruler in the kingdom. That very night Belshazzar the Chaldean king was killed. This writing on the wall was one of impending judgement, to be carried out that very night as the Medes and Persians invaded and sacked the city. I believe that God has a similar message for us today, one that we need to understand, heed and act upon. King Belshazzar was a pagan king. He knew nothing of the God we know, he had no Bible and no clue. Yet here we are today, Bibles everywhere, churches in every suburb, preachers all over the Internet, in books and in churches… we have no excuse for failing to hear the Lord in our nation and our time! Look around at society, and if God doesn’t judge Australia He will have to apologise to Sodom and Gomorrah! The writing on the wall itself was three words which were measures of weight. Mene means numbered, and it’s repetition gives the double meaning of testing. Tekel means found wanting, deficient, defective or of poor quality, which implies that the King’s life was weighed in God’s scales and he was found short. Perez or Parsin in Aramaic means to divide, and it also means Persia, meaning the Kingdom is about to be divided between the Medes and the Persians. This story is not so much about the mysterious writing on the wall, it’s more about being weighed and found wanting. It’s about pride being judged and addressed by God, and in the case of King Belshazzar, the judgement rolled out that very night! The attacking Persian general diverted the river Euphrates, entered the city unopposed and the people welcomed him as liberator. Experts believe that the King was one of the few killed in the attack! 1 Samuel 2:3 (ESV Strong's) Talk no more so very proudly, let not arrogance come from your mouth; for the Lord is a God of knowledge, and by him actions are weighed. People these days are happy to be weighed on their own scales, scales where they can set the parameters. They say things like, “I’m a good person so I will get to Heaven,” or, “Do whatever you want as long as you don’t hurt anyone else.” Here’s the thing… you don’t get to judge yourself, God judges you… period! You don’t have to like it, you can complain all you want or say it’s not fair or you don’t believe it, but He has laid out His law and it stands forever, and you will face the writing on the wall! God has His own set of scales and weights, and in the end, it is His standards that matter. Be a nice person by all means, but when you die you’ll just be the nicest guy in hell. Do what you want trying not to hurt others, but everything you do affects others. You might think being gay or transgender hurts no one else, but ask the parents, children, friends of those doing it! Whether you accept God’s standard or not is irrelevant …. You’re going to be judged by His weights when you see the writing on the wall, not yours! Job 31:6 (ESV Strong's) Let me be weighed in a just balance, and let God know my integrity! Can you say that with Job? Are you comfortable with God weighing you, or is the writing on the wall for you? None of us have enough integrity that when He places us in His scales we measure up. None of us! I thank the Lord He sent His Son Jesus that when we accept His love and ask Him to be Lord of our lives, suddenly in those scales God weighs a different result! So what are the scales of God, and when we face writing on the wall, what standard will He measure us against? King Belshazzar was weighed and found wanting when this disembodied hand wrote in the wall. God’s standard, the weights that He uses when He weighs up a man, have been clearly laid out in the only other recorded incidence of His own finger writing for mankind. Any country, any people, any group of individuals needs a law or a standard upon which to build an orderly, prosperous and ordered society. No group of people operates with complete impunity, because we all need some standard of law. Even outlaw gangs who consider themselves beyond the law have their own code or law internally. God gave us His law in the 10 Commandments by writing on the wall, and Western society, including the freedoms now trumpeted by opponents of God, is built on God’s laws. It is interesting to note that Muslim refugees flood into Western countries and avoid going to Muslim countries… why is this? It is because our society is built on God’s laws? When we see the writing on the wall, God’s laws apply to everyone, even unbelievers. Those who contend that God’s laws apply only to others are merely harming themselves. If we drive faster than the speed limit and are stopped by the police, the officer will not let us go free if we claim, “I saw the speed limit sign, but I do not believe the speed limit laws apply to me.” God will not let us go free if we refuse to accept that His laws apply to us. People in Australia think they can realign God’s laws, readjusting them to suit our current social ideas. For example, God says marriage is between a man and a woman, but we think we can adjust it to make certain minorities not feel aggrieved. But folks, we cannot choose the scales that God will weigh us in… it will be His law and His standards, His writing on the wall, whether we believe in them or not! Hosea was written to a kingdom that readjusted God’s laws to suit themselves, then were complaining about the inevitable result… Hosea 8:7 (ESV Strong's) For they sow the wind, and they shall reap the whirlwind. I ask you, what do you think we as a society will reap as a result of the current laws passed with regards gay marriage, gender equality, safer schools, and abortion? How will these laws affect our children? I tell you, we are about to reap a whirlwind in the next generation! Why is it that Christians, solid believers in the Lord, even pastors are coming out in support of laws clearly not Biblical? How can Bible-believing Christians say, “I don’t know what to think about these issues,” or, “It’s not so bad really?” Already we are adjusting God’s scales to suit our whims! I will tell you how… our whole society, and yes even we Christians, have hardened our hearts to God’s laws, so we see the writing on the wall for our society. If you sin enough, if you permit sin enough, after a while your heart becomes hard, and you just accept these clearly aberrant behaviours as normal, just someone expressing their lifestyle. Hosea 10:12 (ESV Strong's) Sow for yourselves righteousness; reap steadfast love; break up your fallow ground, for it is the time to seek the Lord, that he may come and rain righteousness upon you. Fallow ground is ground that has been plowed up and prepared, but left for a period of time without being planted. The top of the soil then goes crusty and hard, and that is what it is like if we know God’s laws but flaunt them. Over time, what we previously knew to be sinful morphs into being acceptable, even permissible and desirable! As a nation, and as individual believers, we face the writing on the wall and it is time we broke up the fallow ground, that we smash up our cold, crusty hearts, as painful as that might be. As the verse says, it is time to seek the Lord until He comes and rains righteousness upon us and our wayward nation. Now some of us here know enough Scripture that we can play the grace card. Some say that God’s laws do not apply because we are under grace… I hear that a lot when people are knowingly living sinful lives. “I know God’s law forbids this, but I’m under grace brother!” Well Paul talked about this very problem in Romans… Romans 6:1-2 (ESV Strong's) What shall we say then? Are we to continue in sin that grace may abound? By no means! How can we who died to sin still live in it? Grace is not an excuse to sin, it’s a lifeline to pull you out of sin! Do you not understand that, grace or not, you will be judged for everything you have said and done? Just because you sear your conscience enough that you don’t have the same feelings of guilt or shame, doesn’t make it right! Just because our government held a plebiscite and passed a law legalising homosexual marriage, doesn’t make that right, and it won’t make this pastor condone such a Union! We shouldn’t dull our consciences, we shouldn’t harden or crust up our hearts, we should examine ourselves, repent where there is sin and start living a life that honours our Redeemer! 2 Corinthians 5:10 (ESV Strong's) For we must all appear before the judgment seat of Christ, so that each one may receive what is due for what he has done in the body, whether good or evil. Believer, you will not escape the writing on the wall, being weighed in the balance. Let’s me make this clear… When you die, there are 2 possible judgements… Christians will not face the Great White Throne judgment (Rev. 20:11–15), and eternal separation from God in hell, because when we trust Jesus to be our Savior, our names are written in the Lamb’s Book of Life (Rev. 21:27). However, believers will face the judgment seat of Christ, which is sometimes referred to as the Bema seat. This is not a place of being condemned to hell, because if we accept Christ we are saved. But it is a place of accountability—where we will be rewarded for the things we have done in faithful obedience to the Lord, or we will lose rewards according to what we have done. Either way, God’s law still applies to us today, both to our society and to us as individuals, and if we willingly break those laws we will reap what we sow, more than we sow and later than we sow! In this series which I’m calling “The Writing on the Wall,” I want to examine the state of our society and talk about holiness. It may not be popular, it may not be comfortable, but it will be the voice of God to our compromised society, allowing us as believers to realign back again to God’s standards, not the world’s! Have a look around… never before has our nation needed a strong Christian presence like today, because if we remain quiet the writing on the wall for our nation will be all bad! I’M APATHETIC… AND I DON’T REALLY CARE! In this day degenerating morality and desperate need, I am amazed at the apathy of those who claim to serve Jesus. So many fine, previously committed Christians are floating around without a spiritual home or family, deeply hurt by selfish, overbearing and harsh leadership. 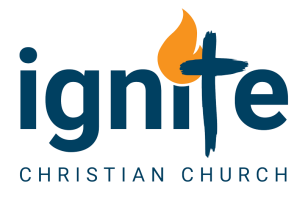 If that’s you, please come here to Ignite if you are seeking a spiritual home, because we are pledged to lead with godliness, gentleness and honour towards those who have been hurt. If you are seeking a spiritual home, try us for 3 months, and let God show you what He has for you! But today, even those who have a church home are getting slacker and slacker in attendance, not because they don’t love God, but because there are so many other things to do instead of and ahead of church. Experts now consider regular Church attendance to be once a month! Call it modern life, call it holidays, or camping, or kid’s sport or great surf or whatever you like, but what I can tell you is that when our nation needs us many are abdicating our responsibility in the hour of need! Edmund Burton said, “All that is required for evil to triumph is for good men to do nothing.” 2 Chronicles 16:9 (NIV-WS) For the eyes of the Lord range throughout the earth to strengthen those whose hearts are fully committed to him. Most believers want to be strengthened, they want to live victorious lives, they want to be a shining light but they refuse to get seriously committed to Christ. We are apathetic, and we don’t really care, but Church, we need to start really caring because our nation needs us! We want to bargain with God, saying, “Lord, what’s the least I can pay to see my life transformed,” when we should say, “Lord, I give everything to you and promise to serve you with my all!” We see the writing on the wall for our nation, which condones immorality on a scale never before seen. We now see a nationwide drought, broken families, broken homes and broken lives, and we, His ambassadors, His children, His answer to our nation’s woes, can’t even be bothered to pray or show up to church! Brothers and sisters, it’s time we stood up and said, “ENOUGH!” Its time we rose with one voice and cried, “No, we will not go quietly into the night, we will not roll over quietly and do what the media tells us. We will stand, we will fight and by God’s grace, we will win!” If we refuse, if we compromise, if we tolerate that which is blatantly against God’s law, then the writing on the wall for our nation is a disaster for us as believers and for our churches. What we need, what our churches need, what our nation needs is a Holy Spirit led revival! The great evangelist Billy Sunday was once asked how you start a revival. He grabbed a piece of chalk, drew a circle on the ground, stepped into the circle and said, “You pray, Lord start a revival, and start it in this circle!” Revival is not something floating out in space, it starts in here. And it takes commitment. It takes hard work, and prayer, and faith, but our nation needs it right now. So what are the steps to starting a revival in our own hearts and churches? While ever the people of God sleep, the devil takes ground. Paul knew this… Romans 13:11 (ESV Strong's) Besides this you know the time, that the hour has come for you to wake from sleep. For salvation is nearer to us now than when we first believed. The church has slept for too long in this nation. Keith Green once wrote in a song… “The world is sleeping in the dark that the church just can’t fight, cause it’s asleep in the light!” He goes on to ask, “How can you be so dead when you’ve been so well fed?” Surely this could be levelled at today’s church in Australia. We have such great teaching, we have loads of great worship music. We enjoy a prosperity in goods and experiences that no generation before has enjoyed. All this, has lulled us into a contented sleep while millions go to hell, many of them our own friends and family… because we simply don’t care enough to full surrender to Christ! It’s time for us to wake from our slumber, and diligently seek God for our people! In Australia we tolerate sin on a scale never seen before both in our nation and in our own lives. We are too afraid to speak out, to have an opinion contrary to the media or Facebook. We think that God overlooks our sins these days, and in our churches, no pastor is courageous enough to preach about holiness. 1 Peter 1:14-16 (ESV Strong's) As obedient children, do not be conformed to the passions of your former ignorance, but as he who called you is holy, you also be holy in all your conduct, since it is written, “You shall be holy, for I am holy.” We all sin, but if we wilfully tolerate sin in our lives, we will not see holiness. It’s time for the people of God to live in holiness, to be different to the rest of the world. It’s time to be godly, righteous and living holy, consecrated lives. If you are tolerating sin in your life, don’t turn a blind eye to it, and don’t beat yourself up about it. Confess it as sin, and repent, which means change how you live and get it right! Habakkuk 3:1-2 (ESV Strong's) O Lord, I have heard the report of you, and your work, O Lord, do I fear. In the midst of the years revive it; in the midst of the years make it known; in wrath remember mercy. Habakkuk prayed for revival among his people, and so should we. No revival in history has occurred without prayed. The Welsh revival was started when Evan Roberts and his sister Mary prayed, and gathered other young people to pray. We must do the same! Ignorance of God’s Word is what is causing such apathy among God’s people. We must revere and read up on and study God’s Word! We cannot experience personal revival if we do not know God! Psalms 119:105 (ESV Strong's) Your word is a lamp to my feet and a light to my path. This is why I keep promoting the Bible reading plan. I know it’s difficult at times, I know it’s hard to find time, but the rewards for you personally, for our church and for our nation are extreme! Ephesians 6:13 (ESV Strong's) Therefore take up the whole armor of God, that you may be able to withstand in the evil day, and having done all, to stand firm. We are in a battle, not sitting on the sidelines any more. It’s time for us to make a stand for Christ, to proudly stand up and say, “I’m a Christian, and I’m not going to fade quietly away, and I won’t back down, even if you attack me!” We need Christians with backbones instead of wish bones! So in the current moral vacuum, when we as a nation face writing on the wall, let’s stand for what is right. It doesn’t mean we hate those who differ in opinion to us, on the contrary, we must love those who persecute us, but we don’t have to timidly tolerate what is clearly sinful and wrong! We must hate the sin but love the sinner. We have to love them, but that doesn’t mean we must agree with them! Today I’m asking you to join the battle. Come on, put on the armour and let’s stand together side by side for our King! Most modern Christians attend church sporadically. There’s kid’s sport, there’s family dos, there’s all kinds of excuses, but I believe we need to start prioritising meeting together as believers… Hebrews 10:24-25 (ESV Strong's) And let us consider how to stir up one another to love and good works, not neglecting to meet together, as is the habit of some, but encouraging one another, and all the more as you see the Day drawing near. I want to encourage you to come to church every week. Prioritise it, even if you don’t agree with some of the things I am saying, even if you miss out on something else, show God you’re serious by prioritising Church! I know football fans who attend every home match and most away matches their team plays. We should be better than them, because our cause is greater! So let me challenge you to prioritise showing up for church, showing up for prayer meetings, showing up for connect groups, showing up for everything you can and get involved! Let’s encourage one another towards revival, because our country needs us or the writing on the wall we fear will come to pass! Let’s own up to the fact that the writing is on the wall for our nation because we, as God’s people, have failed to get serious with God. When He weighs us in the balance, we are found wanting. Yet after all these centuries the prescription for revival remains the same… 2 Chronicles 7:14 (ESV Strong's) if my people who are called by my name humble themselves, and pray and seek my face and turn from their wicked ways, then I will hear from heaven and will forgive their sin and heal their land. If my people…. Not if the government, not if the lobbyists, not if the Muslims or the gays or the businessmen or the sports stars. If my people humble themselves, if my people pray, if my people seek the face of God, if my people repent… then our land will be healed! Let’s own up, folks, the problem is us! The writing is on the wall, but God’s intention in the writing is to warn us of impending doom. It’s not too late to repent and seek God, it’s not too late to change the weights in the balance. I urge you to prioritise coming to church over the next few weeks as I unpack this teaching and weigh us up in God’s balances. It might be uncomfortable, but it will also be unleashing God’s power in your life. It might be hard to get here, but it will harder to miss God’s destiny for your life! If you miss a message, check the website or app. So let me ask, if God were to weigh you up on His scales today, would you be found wanting? Look at your life, examine your heart, your commitment to the things of God. This nation needs strong, godly, holy believers like never before, and today I’m calling you to join the battle and be that godly person. Let’s get committed to Christ like never before, because our people need us like never before! You cannot do this if you don’t know God. If you’ve never asked Him into your life, or if you are unsure of whether you’re saved or not, pray this with me. And for those of you who know God, let me finish with this story… Alexander the Great had won a fierce battle, but a young man was thrown at his feet, accused of deserting the front line. Alexander was asked for his verdict, which is obviously to execute the young man, but a general sprang to the youth’s defence and say, “Spare his life sir, though he failed today he will fight well for us in the future.” Alexander the Great spared his life, and turned to leave. But he stopped and asked the boy his name. The boy replied that his name was Alexander. The. Alexander the Great became incensed with rage and screamed at the boy, “Either change your ways or change your name!” If we name the name Christian, it’s time that we lived up to that name! Immediately the fingers of a human hand appeared and wrote on the plaster of the wall of the king's palace, opposite the lampstand. And the king saw the hand as it wrote. Then the king's colour changed, and his thoughts alarmed him; his limbs gave way, and his knees knocked together. This extraordinary event is one of only two occasions where the very finger of God wrote a specific message to mankind, the other being the 10 Commandments, written in tablets of stone. You could understand the King being shocked and confused, and he called his wise men, none of whom could interpret the message. This writing on the wall was one of impending judgement, to be carried out that very night as the Medes and Persians invaded and sacked the city. I believe that God has a similar message for us today, one that we need to understand, heed and act upon. King Belshazzar was a pagan king. He knew nothing of the God we know, he had no Bible and no clue. Yet here we are today, Bibles everywhere, churches in every suburb, preachers all over the Internet, in books and in churches… we have no excuse for failing to hear the Lord in our nation and our time! Look around at society, and if God doesn’t judge Australia He will have to apologise to Sodom and Gomorrah! The writing on the wall itself was three words which were measures of weight. Mene means numbered, and it’s repetition gives the double meaning of testing. Tekel means found wanting, deficient, defective or of poor quality, which implies that the King’s life was weighed in God’s scales and he was found short. Perez or Parsin in Aramaic means to divide, and it also means Persia, meaning the Kingdom is about to be divided between the Medes and the Persians. This story is not so much about the mysterious writing on the wall, it’s more about being weighed and found wanting. It’s about pride being judged and addressed by God, and in the case of King Belshazzar, the judgement rolled out that very night! The attacking Persian general diverted the river Euphrates, entered the city unopposed and the people welcomed him as liberator. Experts believe that the King was one of the few killed in the attack! Here’s the thing… you don’t get to judge yourself, God judges you… period! You don’t have to like it, you can complain all you want or say it’s not fair or you don’t believe it, but He has laid out His law and it stands forever, and you will face the writing on the wall! God has His own set of scales and weights, and in the end, it is His standards that matter. Be a nice person by all means, but when you die you’ll just be the nicest guy in hell. Do what you want trying not to hurt others, but everything you do affects others. You might think being gay or transgender hurts no one else, but ask the parents, children, friends of those doing it! Whether you accept God’s standard or not is irrelevant …. You’re going to be judged by His weights when you see the writing on the wall, not yours! Can you say that with Job? Are you comfortable with God weighing you, or is the writing on the wall for you? None of us have enough integrity that when He places us in His scales we measure up. None of us! I thank the Lord He sent His Son Jesus that when we accept His love and ask Him to be Lord of our lives, suddenly in those scales God weighs a different result! So what are the scales of God, and when we face writing on the wall, what standard will He measure us against? King Belshazzar was weighed and found wanting when this disembodied hand wrote in the wall. God’s standard, the weights that He uses when He weighs up a man, have been clearly laid out in the only other recorded incidence of His own finger writing for mankind. Any country, any people, any group of individuals needs a law or a standard upon which to build an orderly, prosperous and ordered society. No group of people operates with complete impunity, because we all need some standard of law. Even outlaw gangs who consider themselves beyond the law have their own code or law internally. God gave us His law in the 10 Commandments by writing on the wall, and Western society, including the freedoms now trumpeted by opponents of God, is built on God’s laws. It is interesting to note that Muslim refugees flood into Western countries and avoid going to Muslim countries… why is this? It is because our society is built on God’s laws? When we see the writing on the wall, God’s laws apply to everyone, even unbelievers. Those who contend that God’s laws apply only to others are merely harming themselves. If we drive faster than the speed limit and are stopped by the police, the officer will not let us go free if we claim, “I saw the speed limit sign, but I do not believe the speed limit laws apply to me.” God will not let us go free if we refuse to accept that His laws apply to us. People in Australia think they can realign God’s laws, readjusting them to suit our current social ideas. For example, God says marriage is between a man and a woman, but we think we can adjust it to make certain minorities not feel aggrieved. But folks, we cannot choose the scales that God will weigh us in… it will be His law and His standards, His writing on the wall, whether we believe in them or not! I ask you, what do you think we as a society will reap as a result of the current laws passed with regards gay marriage, gender equality, safer schools, and abortion? How will these laws affect our children? I tell you, we are about to reap a whirlwind in the next generation! Why is it that Christians, solid believers in the Lord, even pastors are coming out in support of laws clearly not Biblical? How can Bible-believing Christians say, “I don’t know what to think about these issues,” or, “It’s not so bad really?” Already we are adjusting God’s scales to suit our whims! I will tell you how… our whole society, and yes even we Christians, have hardened our hearts to God’s laws, so we see the writing on the wall for our society. If you sin enough, if you permit sin enough, after a while your heart becomes hard, and you just accept these clearly aberrant behaviours as normal, just someone expressing their lifestyle. Fallow ground is ground that has been plowed up and prepared, but left for a period of time without being planted. The top of the soil then goes crusty and hard, and that is what it is like if we know God’s laws but flaunt them. Over time, what we previously knew to be sinful morphs into being acceptable, even permissible and desirable! As a nation, and as individual believers, we face the writing on the wall and it is time we broke up the fallow ground, that we smash up our cold, crusty hearts, as painful as that might be. As the verse says, it is time to seek the Lord until He comes and rains righteousness upon us and our wayward nation. Grace is not an excuse to sin, it’s a lifeline to pull you out of sin! Do you not understand that, grace or not, you will be judged for everything you have said and done? Just because you sear your conscience enough that you don’t have the same feelings of guilt or shame, doesn’t make it right! Just because our government held a plebiscite and passed a law legalising homosexual marriage, doesn’t make that right, and it won’t make this pastor condone such a Union! We shouldn’t dull our consciences, we shouldn’t harden or crust up our hearts, we should examine ourselves, repent where there is sin and start living a life that honours our Redeemer! Christians will not face the Great White Throne judgment (Rev. 20:11–15), and eternal separation from God in hell, because when we trust Jesus to be our Savior, our names are written in the Lamb’s Book of Life (Rev. 21:27). However, believers will face the judgment seat of Christ, which is sometimes referred to as the Bema seat. This is not a place of being condemned to hell, because if we accept Christ we are saved. But it is a place of accountability—where we will be rewarded for the things we have done in faithful obedience to the Lord, or we will lose rewards according to what we have done. Either way, God’s law still applies to us today, both to our society and to us as individuals, and if we willingly break those laws we will reap what we sow, more than we sow and later than we sow! In this series which I’m calling “The Writing on the Wall,” I want to examine the state of our society and talk about holiness. It may not be popular, it may not be comfortable, but it will be the voice of God to our compromised society, allowing us as believers to realign back again to God’s standards, not the world’s! Have a look around… never before has our nation needed a strong Christian presence like today, because if we remain quiet the writing on the wall for our nation will be all bad! In this day degenerating morality and desperate need, I am amazed at the apathy of those who claim to serve Jesus. So many fine, previously committed Christians are floating around without a spiritual home or family, deeply hurt by selfish, overbearing and harsh leadership. If that’s you, please come here to Ignite if you are seeking a spiritual home, because we are pledged to lead with godliness, gentleness and honour towards those who have been hurt. If you are seeking a spiritual home, try us for 3 months, and let God show you what He has for you! But today, even those who have a church home are getting slacker and slacker in attendance, not because they don’t love God, but because there are so many other things to do instead of and ahead of church. Experts now consider regular Church attendance to be once a month! Call it modern life, call it holidays, or camping, or kid’s sport or great surf or whatever you like, but what I can tell you is that when our nation needs us many are abdicating our responsibility in the hour of need! If we refuse, if we compromise, if we tolerate that which is blatantly against God’s law, then the writing on the wall for our nation is a disaster for us as believers and for our churches. What we need, what our churches need, what our nation needs is a Holy Spirit led revival! The great evangelist Billy Sunday was once asked how you start a revival. He grabbed a piece of chalk, drew a circle on the ground, stepped into the circle and said, “You pray, Lord start a revival, and start it in this circle!” Revival is not something floating out in space, it starts in here. And it takes commitment. It takes hard work, and prayer, and faith, but our nation needs it right now. So what are the steps to starting a revival in our own hearts and churches? The church has slept for too long in this nation. Keith Green once wrote in a song… “The world is sleeping in the dark that the church just can’t fight, cause it’s asleep in the light!” He goes on to ask, “How can you be so dead when you’ve been so well fed?” Surely this could be levelled at today’s church in Australia. We have such great teaching, we have loads of great worship music. We enjoy a prosperity in goods and experiences that no generation before has enjoyed. All this, has lulled us into a contented sleep while millions go to hell, many of them our own friends and family… because we simply don’t care enough to full surrender to Christ! It’s time for us to wake from our slumber, and diligently seek God for our people! In Australia we tolerate sin on a scale never seen before both in our nation and in our own lives. We are too afraid to speak out, to have an opinion contrary to the media or Facebook. We think that God overlooks our sins these days, and in our churches, no pastor is courageous enough to preach about holiness. We all sin, but if we wilfully tolerate sin in our lives, we will not see holiness. It’s time for the people of God to live in holiness, to be different to the rest of the world. It’s time to be godly, righteous and living holy, consecrated lives. If you are tolerating sin in your life, don’t turn a blind eye to it, and don’t beat yourself up about it. Confess it as sin, and repent, which means change how you live and get it right! Habakkuk prayed for revival among his people, and so should we. No revival in history has occurred without prayed. The Welsh revival was started when Evan Roberts and his sister Mary prayed, and gathered other young people to pray. We must do the same! Ignorance of God’s Word is what is causing such apathy among God’s people. We must revere and read up on and study God’s Word! We cannot experience personal revival if we do not know God! This is why I keep promoting the Bible reading plan. I know it’s difficult at times, I know it’s hard to find time, but the rewards for you personally, for our church and for our nation are extreme! We are in a battle, not sitting on the sidelines any more. It’s time for us to make a stand for Christ, to proudly stand up and say, “I’m a Christian, and I’m not going to fade quietly away, and I won’t back down, even if you attack me!” We need Christians with backbones instead of wish bones! So in the current moral vacuum, when we as a nation face writing on the wall, let’s stand for what is right. It doesn’t mean we hate those who differ in opinion to us, on the contrary, we must love those who persecute us, but we don’t have to timidly tolerate what is clearly sinful and wrong! We must hate the sin but love the sinner. We have to love them, but that doesn’t mean we must agree with them! Today I’m asking you to join the battle. Come on, put on the armour and let’s stand together side by side for our King! I want to encourage you to come to church every week. Prioritise it, even if you don’t agree with some of the things I am saying, even if you miss out on something else, show God you’re serious by prioritising Church! I know football fans who attend every home match and most away matches their team plays. We should be better than them, because our cause is greater! So let me challenge you to prioritise showing up for church, showing up for prayer meetings, showing up for connect groups, showing up for everything you can and get involved! Let’s encourage one another towards revival, because our country needs us or the writing on the wall we fear will come to pass! If my people…. Not if the government, not if the lobbyists, not if the Muslims or the gays or the businessmen or the sports stars. If my people humble themselves, if my people pray, if my people seek the face of God, if my people repent… then our land will be healed! Let’s own up, folks, the problem is us! The writing is on the wall, but God’s intention in the writing is to warn us of impending doom. It’s not too late to repent and seek God, it’s not too late to change the weights in the balance. I urge you to prioritise coming to church over the next few weeks as I unpack this teaching and weigh us up in God’s balances. It might be uncomfortable, but it will also be unleashing God’s power in your life. It might be hard to get here, but it will harder to miss God’s destiny for your life! If you miss a message, check the website or app. So let me ask, if God were to weigh you up on His scales today, would you be found wanting? Look at your life, examine your heart, your commitment to the things of God. This nation needs strong, godly, holy believers like never before, and today I’m calling you to join the battle and be that godly person. Let’s get committed to Christ like never before, because our people need us like never before! You cannot do this if you don’t know God. If you’ve never asked Him into your life, or if you are unsure of whether you’re saved or not, pray this with me. Alexander the Great had won a fierce battle, but a young man was thrown at his feet, accused of deserting the front line. Alexander was asked for his verdict, which is obviously to execute the young man, but a general sprang to the youth’s defence and say, “Spare his life sir, though he failed today he will fight well for us in the future.” Alexander the Great spared his life, and turned to leave. But he stopped and asked the boy his name. If we name the name Christian, it’s time that we lived up to that name!